The Big Lunch is a nationwide celebration of community spirit, initiated by the Eden Project and partnered by National Lottery Community Fund, is celebrating its tenth year and in Northern Ireland we want to get as many little gatherings happening as possible, because when we take time to chat it can make all the difference. Everyone who registers at www.thebiglunch.com will enter a fortnightly draw to win support packages to help you get started. The packages include store vouchers, gazebos, seeds to Grow Your Own lunch, bunting, and lots of lovely treats to motivate more neighbours and groups to give it a go in Northern Ireland. The draw will take place fortnightly and you only need to register once to be entered into all the giveaways. Winners will be announced on The Big Lunch Northern Ireland Facebook page weekly from beginning of May. Recent research highlighted only 1 in 5 people in Northern Ireland know their neighbours which has a knock on impact on services, sharing tools and resources and on the likelihood of people having someone local to turn to when they need them. We can all change that by taking time to talk so try The Big Lunch for starters. And if Art & writing are right up your street….. Develop a project that meets the needs of your community by getting people involved from the start. “Your community” can mean people in a geographic area, or people with a common purpose. Talk to people about what is needed and use these ideas to develop your funding application. Build on the strengths that are already there – such as the lessons learned from previous work and people’s knowledge and skills. Continuing to involve people gives the community ownership of the project and keeps it on track. To apply for funding, you need to be set up as a group with a written constitution or set of rules, and a bank account in the group’s name. You don’t need to be a registered charity but the group needs to operate on a not-for-profit basis to benefit your community. It’s okay if everyone in the group is a volunteer. Some of the groups we fund have staff working for them, and others don’t. Connect with other groups in the same area to see the bigger picture and how you fit in. It will help avoid duplication of services and identify opportunities for sharing resources and knowledge. If you are applying to us for funding, we want to make it easy for you. We have a range of grant sizes to suit your needs and are keen to talk to you about your ideas, even before you put pen to paper. You can phone our office on 028 9055 1455 to talk to a funding officer, or if we are out and about in your local area you can meet up with us for a chat. Check our Facebook and Twitter feeds to find out when we are in an area near you. See our website for information on funding available in Northern Ireland. Hello from all of us at The National Lottery Community Fund Northern Ireland. There’s just over a month to go until the end of this financial year so you are probably thinking about getting some funding for your project idea. Our most popular programme, National Lottery Awards For All, may be worth a look if you are seeking funds to cover a 12 month project. National Lottery Awards For All can fund voluntary, community and social enterprise (VCSE) organisations. As well as, schools and statutory bodies. The programme can cover the costs of projects that have been designed and developed by communities to improve people’s lives and strengthen community activity. Check out our website to find out more about the types of activities we can fund. In December, we received 73 applications from groups all across Northern Ireland. We couldn’t review 15% of the applications because they weren’t complete. Most of these had not been signed by the contacts named on the form or did not have all of the information we require for the contact people included within the application. Two contact people must be included on your form (three if your organisation is a registered company). Your contacts must hold one of the specified positions/roles listed on the form. These people must sign your form and provide their home address and data of birth. You sent us a recent bank statement with your form. This should be for the account you would like us to pay your grant into. There are no closing dates for National Lottery Awards For All, so you can send us your application at any time. It normally takes us between 6-8 weeks to review your form so consider this when you’re deciding on your project start date. We want to hear your project ideas so feel free to contact our team on 028 9055 1455 or by email at enquiries.ni@tnlcommunityfund.org.uk if you would like to chat about your plans or get advice from us. 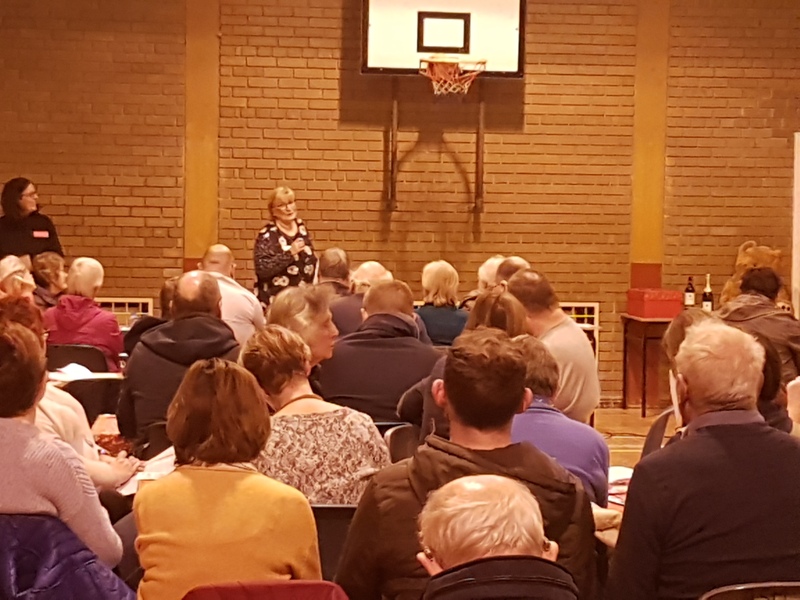 On 6th December, we held our first ever participatory budgeting event in Northern Ireland when the Clogher Valley Community Centre became a hive of activity. 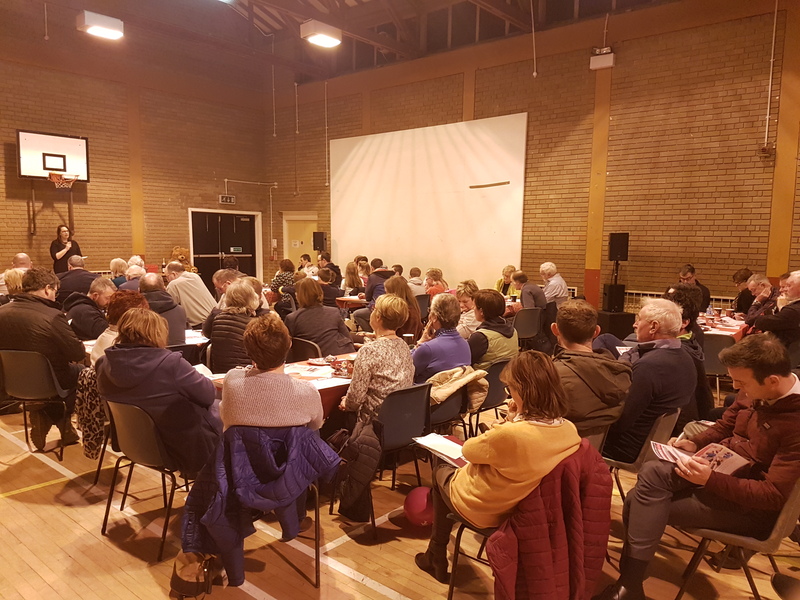 Fifteen groups from the Clogher Valley area were invited along to pitch their project idea to their local community in the hope of getting funding of up to £500. Nearly one hundred local people braved the cold to come along and vote for their favourite project. This project will be a Drama and Music based club, teaching children about the world of the stage and theatre, along with providing opportunities for performance. Funding would enable the school to host the club and would be open to all children from the wider Clogher Valley community. At the end of the sessions the children would perform for friends and family in a community event showcasing the local talent. The group recently installed an outside defibrillator for the use of the whole community. This is located on the town side of the Spar shop. They would like to host a training seminar to have members of community trained in the use of the defibrillator which they hope will be of great benefit to all. Campa mhic artain is an irish language, sport and music orientated summer camp based in augher, in the heart of the clogher valley. Funding would allow the group to run a project around the St. Patricks Day festivities, which will include an event on St. Patrick’s day itself in and around the village of Augher. The group would like funding to create a shared library for children who find reading difficult. To do this they would like to purchase a collection of books which would be levelled according to age and topic and essentially shared between the three local primary schools within the Clogher Valley. (St Mac Cartans Primary School, Augher Central Primary School and Carntall Primary School). The group are a cross community youth group from 8 years to 14+. Funding would cover the costs of the “Beyond Limits” project. This is an inter generational programme where the children visit local nursing homes interacting with the residents through various activities. The group would like funding to hold a series of training classes in the Clogher Valley area, for members of the public who are interested in learning some of the basic practical skills, in the declining craft of beekeeping. This group are a hurling and camogie club, established in late 2016. They would like funding to rent a hall for 8 nights over a two month period to provide training sessions for children living in the Clogher Valley area. The group would like funding to hold 2 area wide events targeting 120 women from the 8 WI’s across the Clogher Valley Area. The first is a Bowls and Quiz Evening on 28 February 2019 where women can either observe or take part in the quiz and bowls competitions. The second event is a one day Craft School on 9 March 2019 when local tutors will demonstrate and teach women 6 different traditional crafts. Both events will take place in St John’s Hall, Fivemiletown. Home-Start Clogher Valley trains volunteers from within the locality to visit and support families with young children in their own homes. Volunteers willingly give up 2-4 hours of their time each week to help support a family in need. Funding will cover the volunteers’ travel expenses and training to allow them to continue to support families in the area. Funding will cover the costs of creative craft and horticultural activities workshops for the community. It is a great way of bringing people together, making new friends, learning new skills and sharing existing skills. 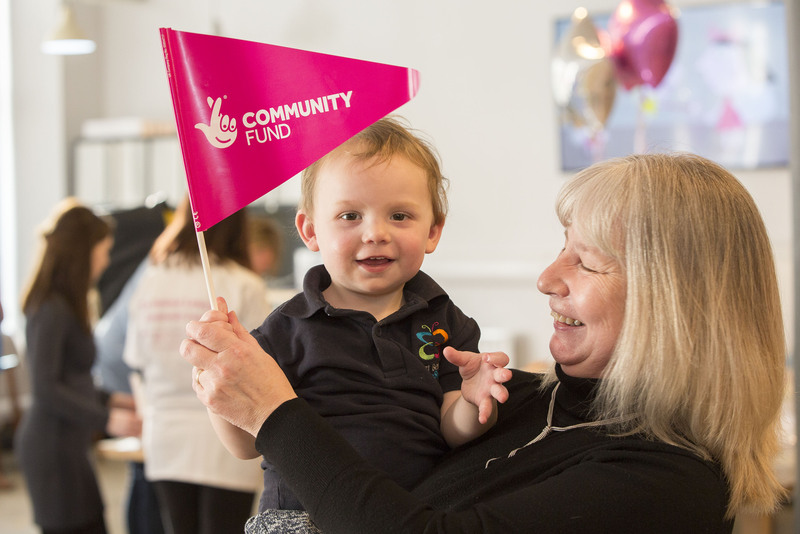 The National Lottery Community Fund has launched a pilot programme to empower and create opportunities for leaders within communities to use their personal experience to create change for others. 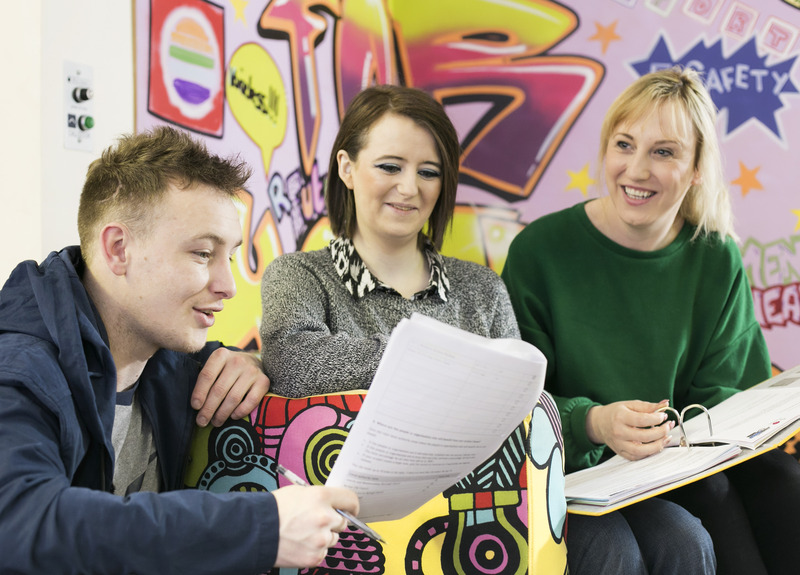 The Leaders with Lived Experience pilot programme is using money raised by National Lottery players to offer grants of up to £50,000 to organisations to support new or existing leaders. A lived experience leader is someone who uses their first-hand experience of a social issue to improve the lives of people who share this experience; working with and for the community. An example could be someone who experienced homelessness and is working to improve homelessness services; or a person who lost a loved one to suicide sets up and runs a support group for others who have experienced the same trauma. This pilot will enable us, and the wider sector, to continue learning about how people with first-hand experience can become leaders and how funders can support them; putting them at the forefront of the design, development and delivery of community activity. The application deadline is 5pm on 25th February 2019. See our website for information on how to apply and to download an application form. If you need more information, advice or support in completing your application (or need the application materials in an alternative format) please contact us at livedexperience@tnlcommunityfund.org.uk or call our advice team on 0345 4 10 20 30. Text relay users, please use 18001 plus 0345 4 10 20 30.